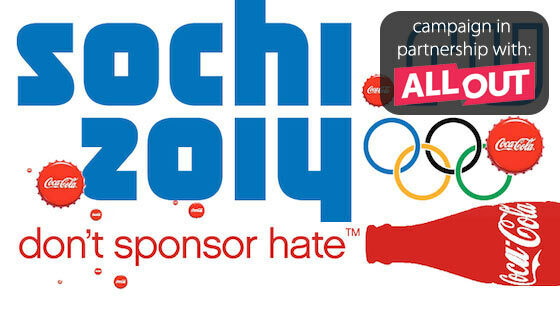 Yesterday, I posted a link on my Facebook profile to sign this petition in a bid for Coca-Cola to pull their sponsorship from the Sochi 2014 Winter Olympics in Russia due to their anti-gay laws. I received a genuine argument against this action, where I was asked why should Coke be involved at all when it should be our government’s job to make our opinions known, and all Coke does is sell and unhealthy caffeinated drink. I appreciated the argument. I believe everything should always be questioned to make sure people have the answers. So here’s why I still believe Coca-Cola should pull their sponsorship.